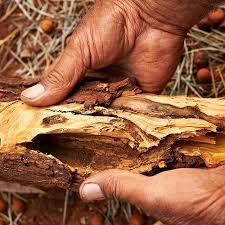 Australian Sandalwood essential oil aroma is smooth, fragrant, sweet earthy and of a woody aroma. more pleasant than Indian Sandalwood-Santalum album. 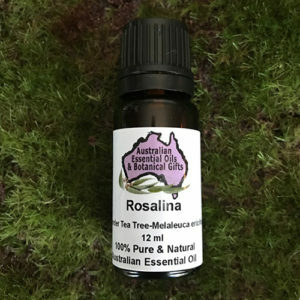 Calms skin conditions like eczema, moisturises dry, chapped skin, calms inflamed muscles, enhances meditation, lifts the spirits, relieves depression and fatigue, treats bacterial and viral infections, eases insomnia, creates a sense of peacefulness, calms indigestion and inflammation. 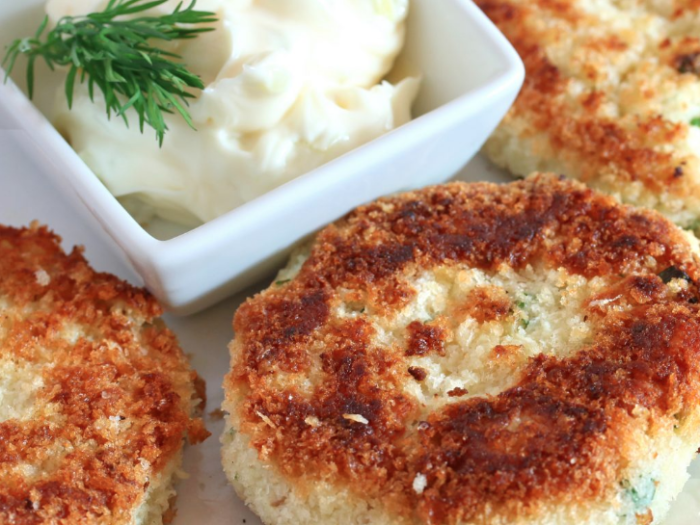 Recent studies found anti-carcinogenic, anti-viral and antibacterial activity. Please read the label, of any essential oil for the inclusion of The Botanical Name and Country of origin which ensures the pureness of the essential oil. Main Activities alpha-santalol, epi-alpha-bisalobol, trans-farnesol, cis-beta-santalol, trans-alpha-bergamotol. 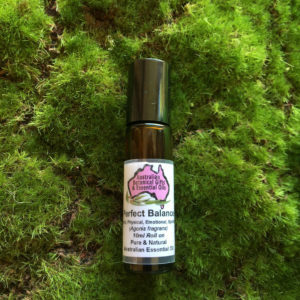 Australian Sandalwood essential oil is being rediscovered by the aromatherapy community and others seeking natural products. 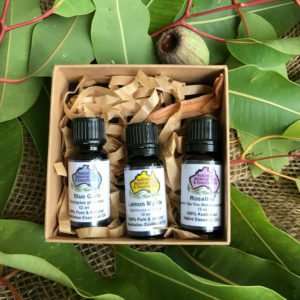 In recent decades Australian Sandalwood essential oil is being used as an alternative to Indian Sandalwood owing to Indian Sandalwoods near total over exploitation (and near extinction) in the wild. 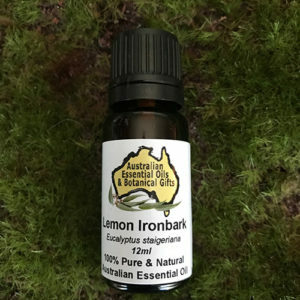 Australian Sandalwood essential oil is used for meditation, relaxation, however it appears to have excellent medicinal potential also. 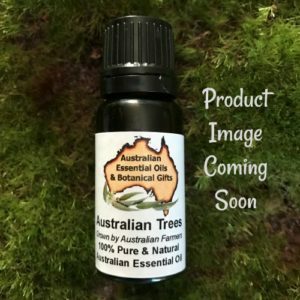 Australian Sandalwood essential oil is used as a perfume base or fixative by many leading perfume companies including Calvin Klein. Intimately tied to Asian cultures for thousands of years, sandalwood is best known for its use in joss sticks, which are burned as incense in Buddhist and Hindu religious ceremonies. Sandalwood oil, contained in the heartwood, is highly sought after by the perfume industry due to its subtle fragrance and unique fi,ative properties. 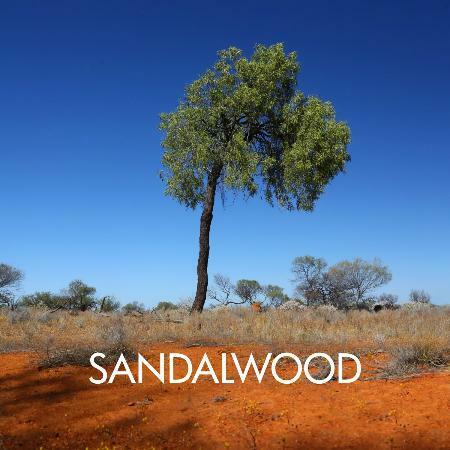 From antiseptics and cancer preventatives, to wine barrels and woodcarving, the uses for sandalwood make it one of Western Australia’s most lucrative renewable resources. 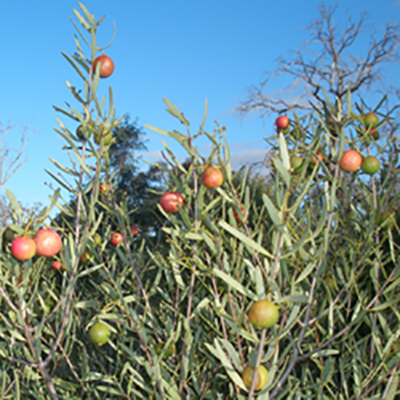 With demand from China alone growing at 60 percent a year and the world market growing at 5 percent, the forecast is bright for commercial growers to supplement the finite supply of native sandalwood with plantation grown timber. Sandalwood has held a religious significance within the Hindu and Buddhist communities for thousands of years. The most significant use for Australian sandalwood is for the production of joss sticks (incense). There are close to a billion incense sticks burnt each day throughout Asia. The value of sandalwood lies in its unique fragrance. 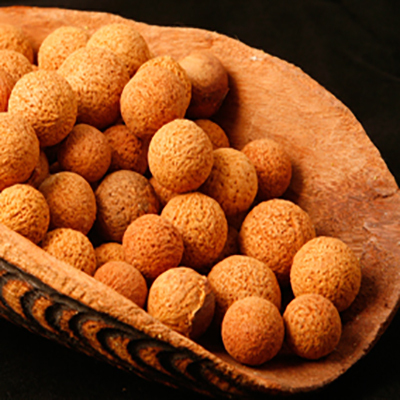 The oil is extracted for use in high quality perfumes and aromatherapy products. Sandalwood oil is today still an integral part of some of the world’s favourite perfumes including “Obsession” by Calvin Klein and “Opium” by Yves St Laurent. Its natural fragrance and native properties make it an ideal ingredient for soaps, shampoos, lotions, bath oils and many other preparations. Sandalwood oil is an essential oil and is used on its own and in blends with other oils for application onto the skin and inhalation. 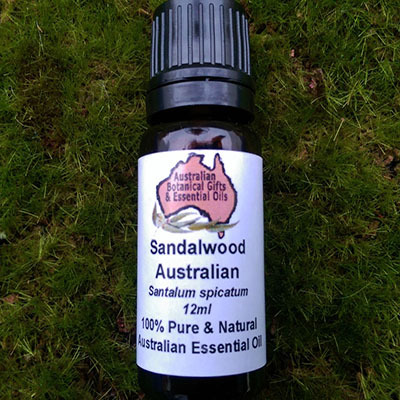 Sandalwood oil has many antibacterial and anti-inflammatory properties which are being increasingly brought to bear against a number of disease causing organisms and conditions. It is currently used in treating Herpes, acne, thrush, tinea, ringworm and body odour, Golden Staph, many forms of streptococcus, infections of the urinary tract, TB, cystitis, gonorrhoea, psoriasis, premenstrual pain, rheumatic and joint pain, sunburn. 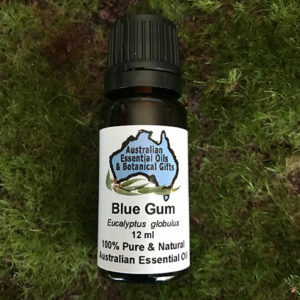 Analgesic, anti-anxiety, anti-fungal, anti-inflammatory, anti-septic, anti-spasmodic, anti-viral, calming, cicatrisant, CNS sedative, CNS tonic, cooling, nervine, sedative, All Chakras, anti-bacterial, aphrodisiac, Australian Botanical Essential oils, Australian Essential Oils, Native Australian, Calming, grounding, improves mental clarity, meditation, relaxing, sleep, Staph, Staphylococcus aureus, stills the mind, analgesic, anti-anxiety, anti-convulsant, anti-depressant, anti-fungal, anti-inflammatory, anti-microbial, anti-oxidant, anti-septic, cooling, immuno-stimulant. Balancing, Grounding, Introspective, Meditative, Protective, Source Energy, Unconditional love.